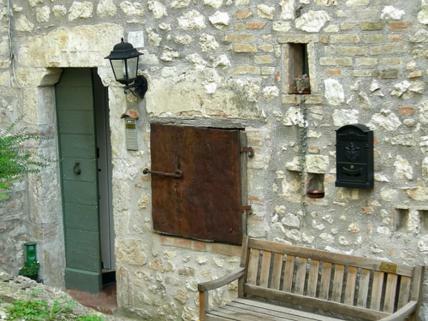 Are you looking to buy a historic property in Italy? Several of our properties in Tuscany, Lazio, Umbria, Abruzzo and Campania are either historic properties in their own right, or apartments in historic buildings. 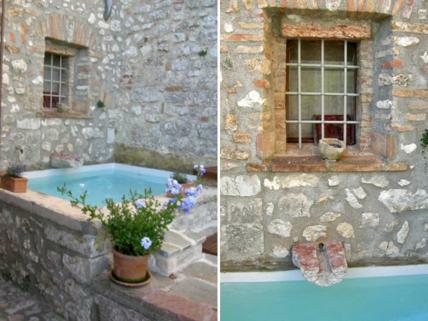 These properties are properties with a soul and part of the Italian history. You will find our historical properties in, for example, Città della Pieve, Cetona, Fabro, San Casciano di Bagni, Asciano, Montalcino, Sarteano and Radicofani. 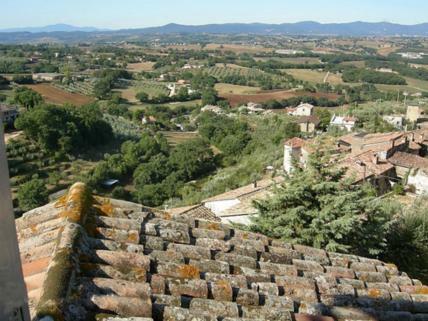 You will find several historic properties in Umbria and Tuscany. 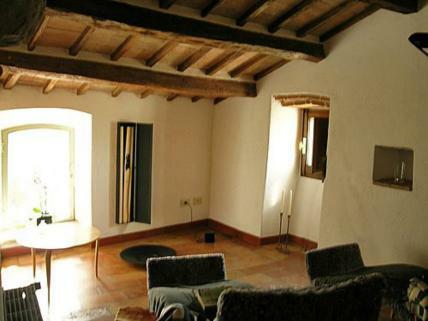 The property is located in Portaria which is a very small village located in the Comune of Acquasparta. It is made up of only a handful of houses which surround the Torre dell’Orologio, (the clock tower) and a small square which altogether create an enchanting tiny Medieval village. In times past this was a short cut through the countryside for Spoleto which was used by Lucrezia Borgia who stopped at the hamlet for refreshments many centuries ago. Only a few kilometers away there are the remains of the glorious town of Carsulae, a Roman town which was mentioned on the old roman maps which show the famous Flaminia road. Other nearby centres include Spoleto, Todi, Narni and Sangemimi. 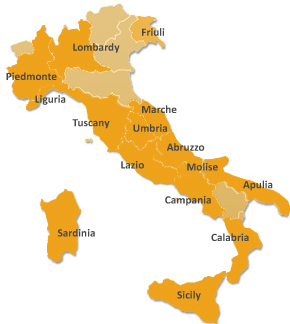 From Portaria it is easy to reach Rome (approximately 120 kms away) and Perugia (approximately 60 kms away). A delightful town house which measures approximately 310 sq mts and which currently has been divided into two apartments both with private entrances. On the ground floor there is the guest apartment. 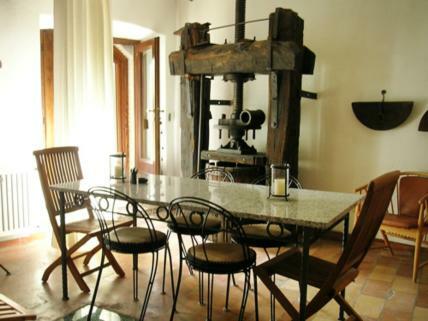 The living area consists of: a kitchen, a living room with a fireplace, three bedrooms/studios (one of which has an old wine press) and a bathroom. Also included with this apartment are several store rooms on the lower ground floor. The other apartment has two floors. The entrance hall is on the lower floor, this leads into a large kitchen with an old fireplace made of Carrara marble, a dining room, a living room, a study and a bathroom. Stairs lead from the living room down into the garden. On the top floor of the house there are two loft style bedrooms and two bathrooms (one of which has a stunning hydromassage bath which was made out of an old water storage tank which was originally used to water the grapes. The property has mains gas (a new boiler was installed in 2008), water, electricity, telephone and ADSL. There are several little fireplaces and a wood burning stove. There is air conditioning in the living room and in the studio on the top floor. The property is listed on the Urban profile as being a building which was originally constructed before 1967 and which as been subsequently modified and restored according to and within all the current building regulations and planning permissions which have been issued. The two apartments are listed in the NCEU in the Comune of Acquasparta. The property is being sold by a private individual and the sale is therefore subject to a registration tax of 10% if it is being purchased as a second home or 3% if it is being purchased as a main residence/first house. The property makes a wonderful main residence or a stunning second/holiday home. 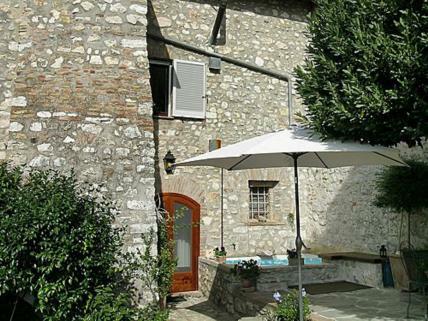 Due to its excellent location it is also a perfect base from which to visit all the main centres of Umbria.